This creamy beige limestone flooring tiles with honed surface and diamond sawn edges encompasses all the attributes of a classical English Limestone floor. * Available in 2 tile sizes. 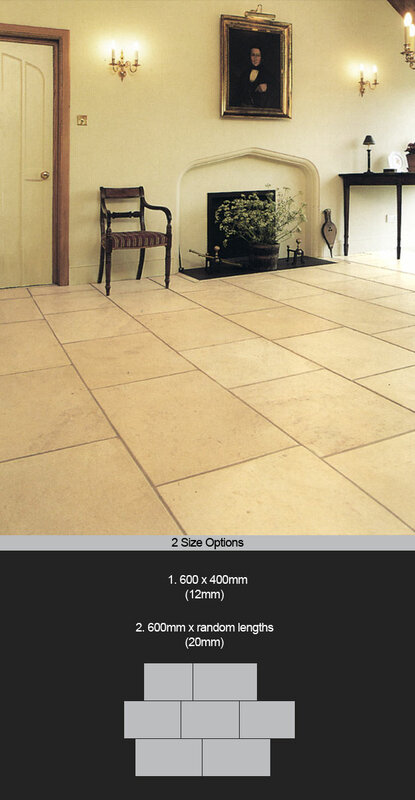 * Tiles are priced per m2.